“The Sacrifice” is the prequel to "The Passing," and takes place from the Left 4D Survivors' perspective as they make their way South. We know Bill dies in “The Passing” but how and why? You can read the comic to find out the official version of events or this October 5th you can play the game to choose your own ending. 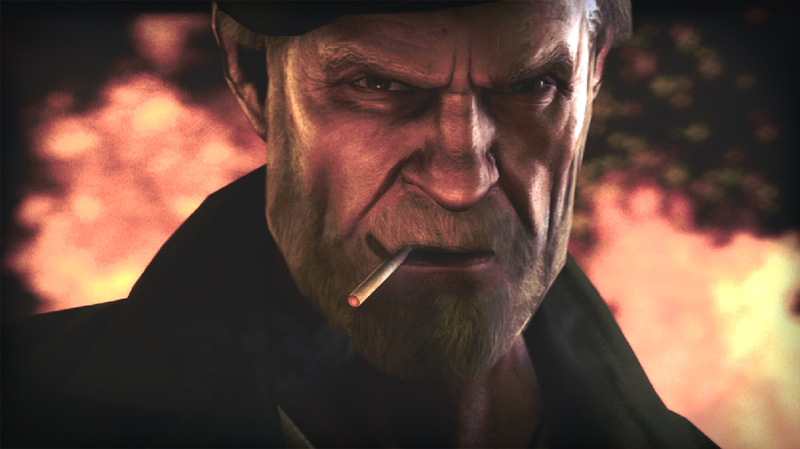 In The Sacrifice for Left 4 Dead, gamers receive the complete Sacrifice campaign with maps playable in Campaign, Versus, and Survival. There is a new style finale and plenty of places for devastating Hunter pounces. 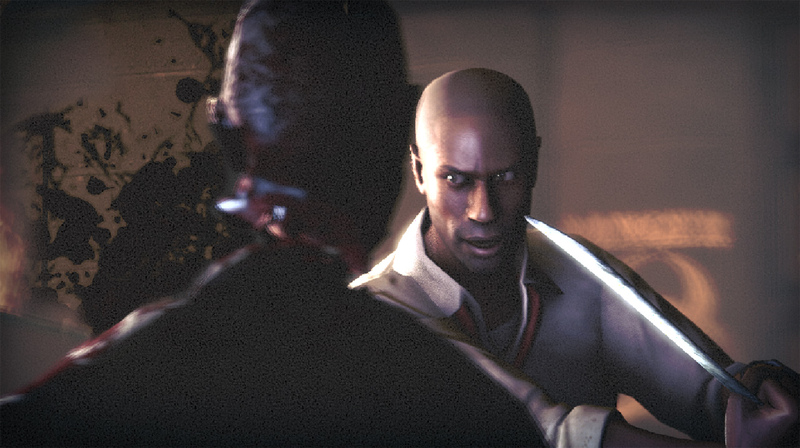 For Left 4 Dead 2, gamers receive “The Sacrifice” campaign and L4D1’s “No Mercy” both playable with the L4D1 Survivors. 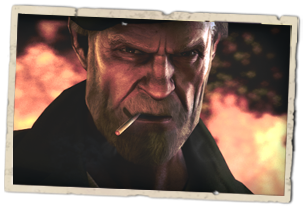 Each campaign is playable in Campaign, Versus, Survival, and Scavenge modes and both feature the Left 4 Dead 2 Special Infected, items, and weapons. Yes, Zoey with a chainsaw! Left 4 Dead 2 will be released on the Mac Tuesday October 5th. If you already own it on the PC, then you own it on the MAC. All you need to do is load up on your Mac and start playing. If you don’t already own it, now is a great time to pick it up. 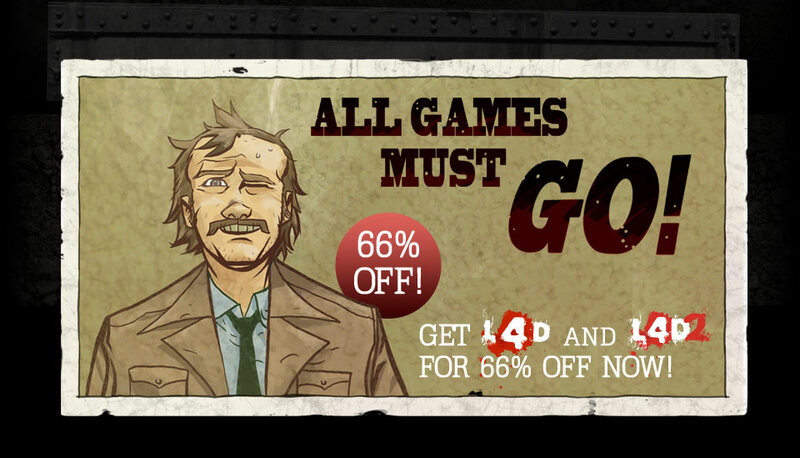 Not only do you get Left 4 Dead 2 but steam owners get all the previously released DLC for free! So you get the original 5 Campaigns and “The Passing”, “The Sacrifice” and “No Mercy.” Best of all, there is already a thriving community and excellent community created campaigns waiting for you. Sorry Left 4 Dead owners, the Mac version is coming but we are running a little late. We hope to have it out in time to celebrate Halloween on the Mac. 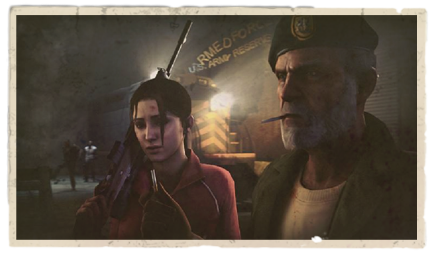 When released, L4D1 Mac players will receive the same great treatment. All the previous released updates and DLC for free and the ability to play an extensive library of community content. More information on the release date as it nears. Hello there, this is Whitaker. The fine people at Valve were in a bit of a quandary. How could they possibly have you gentle folk believe the sale prices of their goods? They needed to reach outside their own circles to find such a man. And I am such a man. You see here, I was the number one seller of bullet related merchandise in the beautiful state of Georgia for the past twelve years. Twelve years. A man does not attain such a position without knowing something of low prices. Before we begin, while this Valve company may choose to sell their games in many a currency, some of which I believe are blasphemous. I will from here forth be using the good old American dollar to belay my pricing information. And to put this all in perspective, as I believe one must know the current situations so that they may truly understand the depravity of what they are witness to, the price previous to this declaration had been set at a mere $19.99 a piece. While clearly they are worth three times that said price, they are currently in a position where they wish that every man, woman, and child over 18 owns these games. That is the kind of lofty goal I can unabashedly embrace. So without further adieu let me begin my tried and true method of merchandising. How much would you pay for Left 4 Dead or Left 4 Dead 2? Do I hear $100? $200? But we are already givin’ it away at $19.99! And that my friends ain’t low enough! I hear you saying half-that! Half that! Shout it to the heavens half that ! That rightly would be an amazing price, but we can go lower than that my friends. Say it, we can go lower. Now before you all read further, gather round your kin folk because this here is serious business. Prices like this come once a lifetime, and you are gonna want to know where you stood this day when you heard the news. 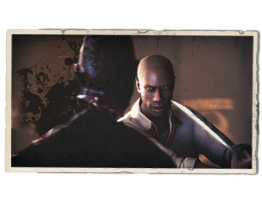 What if I told you, your pick, Left 4 Dead or Left 4 Dead 2 only - $6.80 a piece! What? You want both! How about $10.20 for both? But you have four friends and they all wanna be consumed by the passion that is Left 4 Dead? I give you a four pack of either illustrious title for only $20.40 – that is a mere $5.10 per! Did I just hear you say, “But I already own these fine games sir?” Well of course you do friend, you’re one of the educated ones. But what about your unsophisticated friends? You may have friends that do not have five dollars. You may have friends who have not yet purchased said items because until just recently they were unable to play these here games due to their choice of computational machines. At this price, I’m gonna tell you, don’t just buy one. Buy three. If you were thinking of buying three, buy seven. If you were gonna buy seven buy forty-one. At these prices, I dare say one could procure enough as to have birthday, anniversary, bereavement, and Christmas gifts for the next 30 years. Now I need to stop and let you people purchase as I know you can become entranced by the power of my words, lost in a state of bliss listening to me wax on poetic like about the value of these games, so I will come to a circuitous conclusion by wrapping up my sales endeavor by thanking the fine people at Valve and when you buy this here game, do come down to Savannah and see me. I still need my taste for cola satiated. Without hesitation that young boy said, a skillet to fry your bacon and hat to act as a mobile roof above your head sir. By god if that boy wasn't right. I added both to my product line that day and soon was the number three seller of cast iron skillets in the great state of Georgia. And for that boy? That boy grew up to be president. So now you can see I am familiar with the merchandise I speak of. 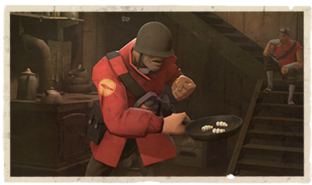 While I do not understand the machinations of this skillet and hat scheme, I do know that if you purchase the said game Left 4 Dead 2, it will reward you with a free hat from my friend Ellis and a handy skillet to fry yours or more importantly your enemy’s bacon. 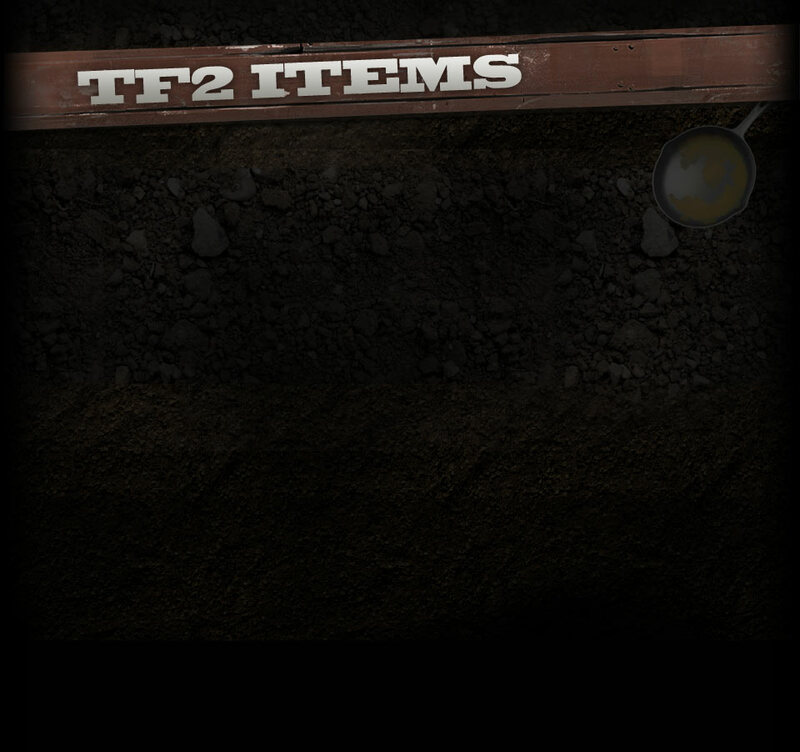 These items all manifest themselves in some infernal game called TeamFortress2 which I have no understandin’ of but my good friends what I do know is these items know no class, color, weight or gender. They work for all peoples. Now if I could get a hat and a skillet for $6.80 – I would own a new hat and skillet. At that price, I implore of you, if you see a hatless or skilletless friend, buy them one. If I was not bound by certain contracts and gentlemen agreements, I would be buyin' every hat and skillet I could afford. 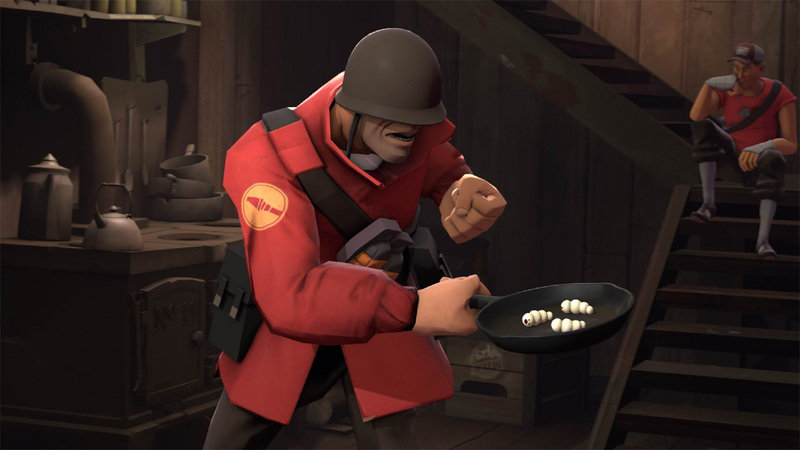 I would be leveraging myself to the gills to purchase enough hats and skillets so that I could corner the ever present, ever important, ever expanding hat and skillet market. People, this is no time to be savin’, this is a time to be procurin’! © Valve Corporation, all rights reserved. Valve, the Valve logo, Half-Life, the Half-Life logo, the Lambda logo, Steam, the Steam logo, Team Fortress, the Team Fortress logo, Opposing Force, Day of Defeat, the Day of Defeat logo, Counter-Strike, the Counter-Strike logo, Source, the Source logo, Valve Source and Counter-Strike: Condition Zero are trademarks and/or registered trademarks of Valve Corporation.